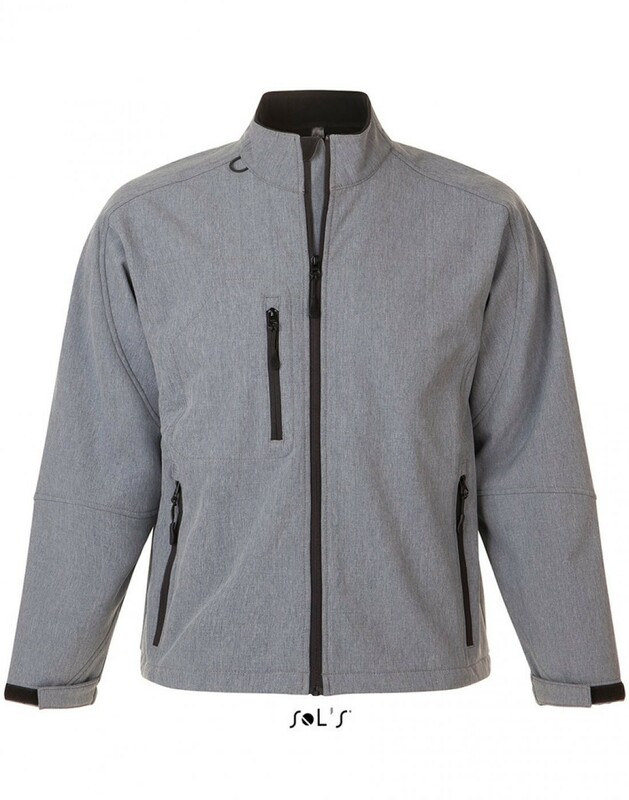 This soft-shell jacket is a great option for Autumn and early Winter. 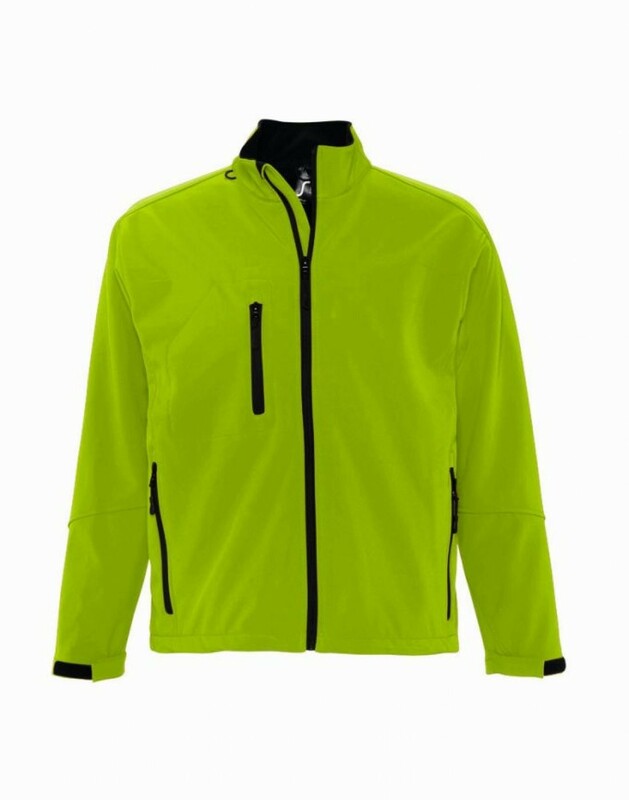 The breathable polyester fabric and the mesh lined body panels make this perfect for outdoor activity. It’s showerproof and windproof too! The full-length zip and chin guard will also keep you protected whatever the weather. 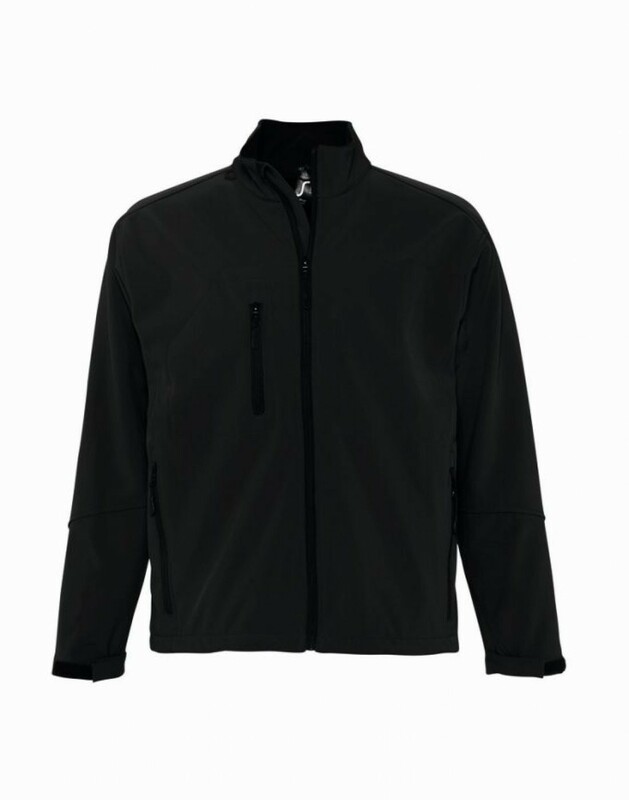 If it gets a little chilly, the polyester fleece back will help trap in the warmth. 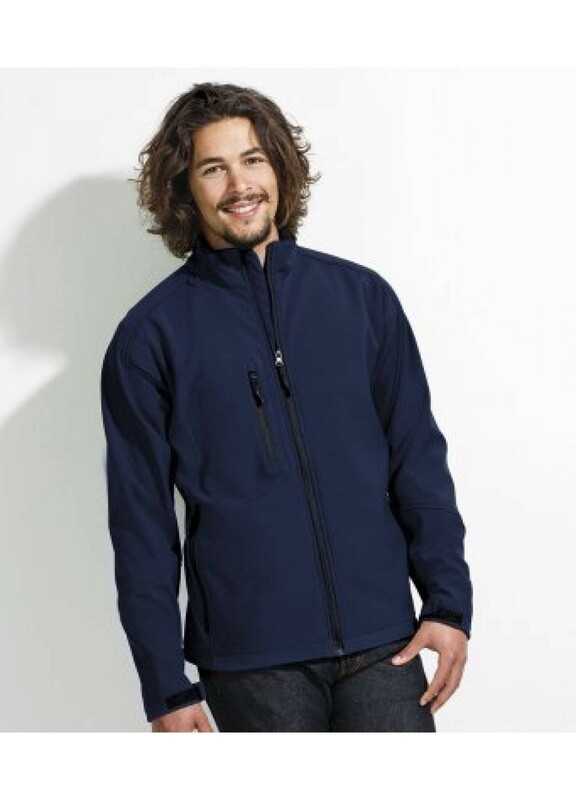 Plus the adjustable cuffs and drawcord hem will keep out the cool air. 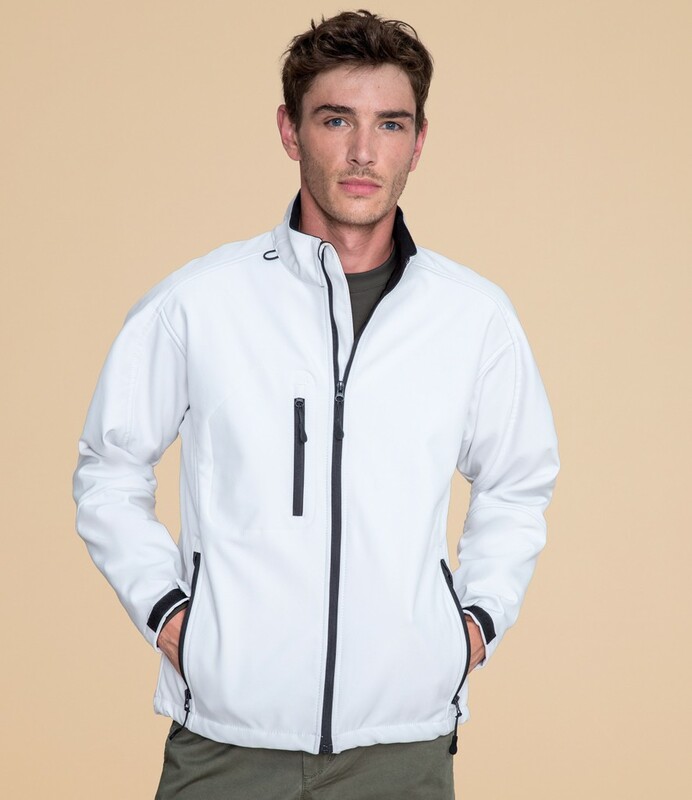 We love the style of this jacket thanks to the contrast zips. 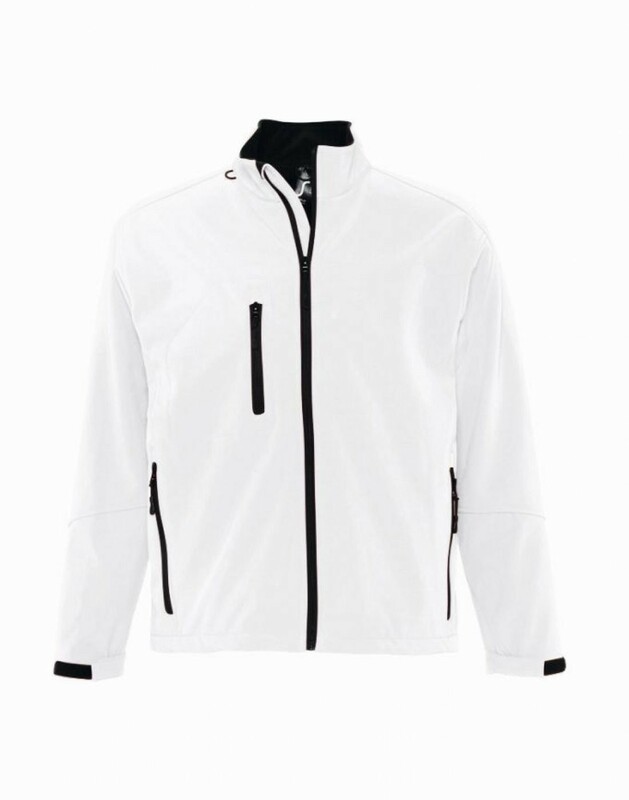 There are two front zip pockets and one right chest zip pocket, to carry the essentials. Fabric: 94% polyester/6% elastane outer.